The technology may be fairly new, but drones are already changing the way we capture both images and video footage. Will our newcomer to the process get off to a flying start? It seems that the press prints negative stories about drones almost every day. It’s almost as if there’s an agenda to demonise this technology, and if you are to believe some of what you read, anyone who flies one is either a peeping tom or a terrorist. While there have been individual cases that can be highlighted as examples, they are very isolated incidents. By and large, most drone enthusiasts simply love flying remote-controlled devices, and for photographers and videographers, they offer a whole new perspective on the world. While the technology employed by drones may be new, the idea of flying a remote-controlled device for photography or filming has been around for years. It’s certainly a little odd that people single out the term drone, or quadcopter, without ever thinking that radio-controlled helicopters have been around for decades. As with any new technology, there are those that find it exciting and those that fear it. And so it was I recently found myself flying a drone for the very first time – with no little concern that I would be labelled a pervert or terrorist. I was certainly filled with more trepidation than jubilation. However, perhaps this fear was a healthy one. I wanted to be sure I would be flying safely, that I knew how to control the drone, and that I wouldn’t be endangering anybody in the process. 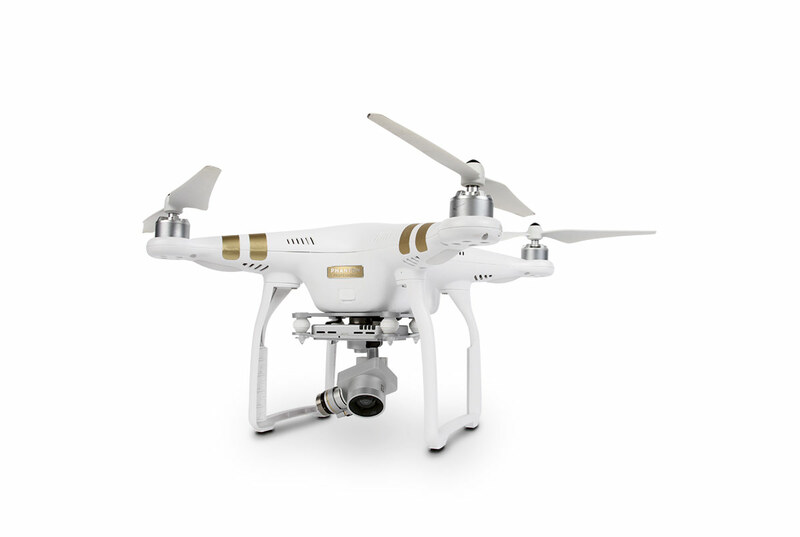 The drone I would be flying was the DJI Phantom 3 Professional. It is a pretty good drone for a first-time flier to use, thanks to its simple interface and safety features. In its default mode, it won’t let you fly too high or too far, and take-off and landing is as simple as pressing a button. Battery running flat? The Phantom 3 Pro will start beeping at you and flashing red on the controller. When the battery drops to a critical level, it will automatically return to its take-off point and land. Despite these safety features, I was still nervous. I pored over the instruction manual, I watched YouTube videos, I downloaded the DJI Go app, which is used to fly the DJI drones, and made sure that I was familiar with all the procedures. When I saw people on YouTube flying them, I grew a little in confidence. It all seemed very easy, but despite these reassurances, I just couldn’t shake that uneasy feeling. The most obvious piece of safety advice there is when it comes to flying a drone is to operate it in a wide, open area where you can keep it in your sights at all times. This vital rule cannot be repeated too often. For my maiden flight, I opted to visit a large expanse of beach, at low tide, at 5.30 in the morning. 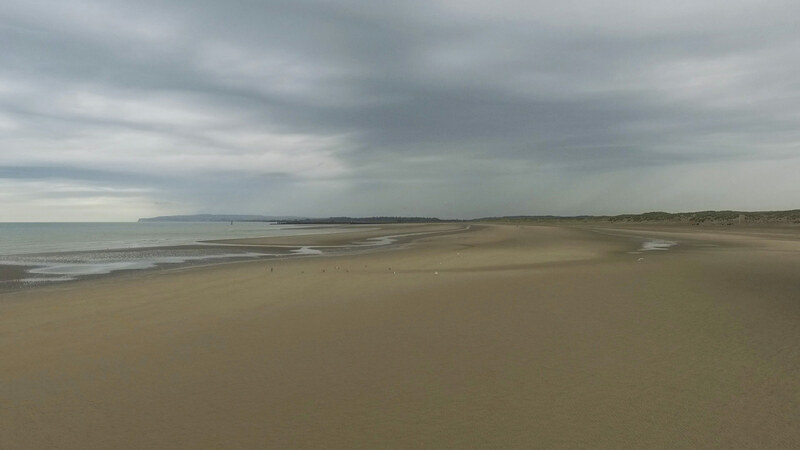 The long beach and vast stretches of sand would give me plenty of space and an unbroken line of sight of the drone, and at that time in the morning it was going to be easy for me to make sure I was more than 50m from ‘a person or vehicle not under my control’. 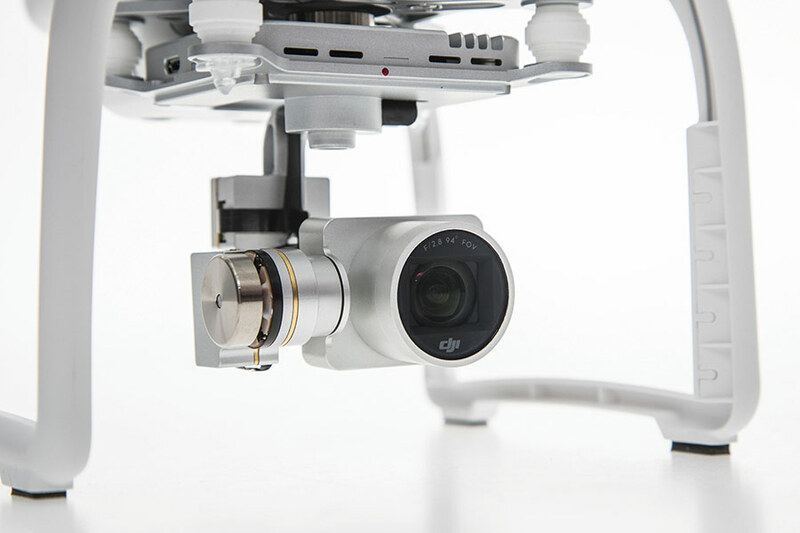 Setting up the DJI Phantom 3 Professional is straightforward. The propeller blades are screwed on to the motors, the 1440Mah battery is inserted, which should give you around 25 minutes of flight time, and the drone is then switched on. On the controller, you attach a smartphone or tablet via a USB lead and open the DJI Go app. When the app loads, it connects to the controller and to the Phantom 3 Professional drone, then performs a series of checks. The most important of these is the compass and GPS calibration, which allows you to check the drone’s current location on a satellite map, as well as the altitude you are flying at. Meanwhile, you can look at a first-person view of where the drone is flying via the drone’s built-in camera. This can capture 12-million-pixel still images, or record video up to 4K in quality. 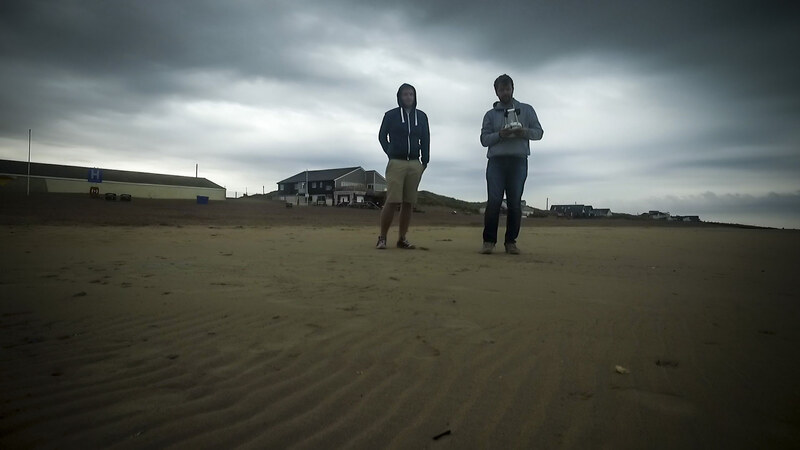 This footage is saved to a micro SD card on the drone’s camera, and of course, the camera is stabilised thanks to a motorised gimbal. The footage is very, very smooth indeed. All that was left to do was slide the onscreen button for take-off, which I did. Seconds later, the motors powered up and the drone flipped upside down on to its propellers, sending sand flying everywhere. I scrambled to press a button on the remote to ‘land it’ and switch off the motors. Needless to say, this wasn’t quite what I had expected, and only served to make me more nervous. A quick inspection of the propellers made me realise that one of them was cross threaded. In effect, it was loose, and wasn’t being powered at all by the motors. Thankfully I had some spare blades and, after replacing it, I was ready for take-off, more anxious than ever. This time, however, it was a success. The DJI Phantom 3 Pro took off gracefully and just hovered in position at about chest height in front of me. It was quite surreal to see it just floating there on its own for the first time. Even light gusts of wind did nothing to move it, with the motors very quickly correcting for any slight movement. Think of it as being the drone equivalent of image stabilisation in a lens. I had already been practising the controls, and it turns out that years of playing computer games as a teenager can actually be quite useful, as it took me just a few minutes to become fluid with the drone’s operation. All of this flying practice was carried out at a height of no more than about 10m, and at around 20m in front of me. As I became more confident, I was happy to increase the altitude and fly a little further, always maintaining sight of the drone. I quickly realised that I had a definite comfort zone when using it. When I started to feel as if it was heading too far away from me, I was straight back on the controls to bring it back closer, and I tested the ‘fly home’ feature very early on. 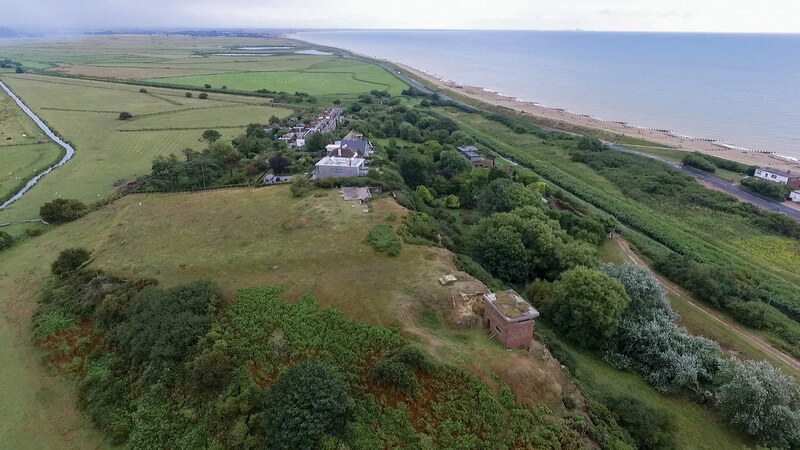 It was reassuring to have the Phantom 3 Pro land only about 50cm from where it took off. In terms of altitude, I did at one point take it to about 98m, but even this started to feel uncomfortable. I certainly didn’t feel confident enough to push it to its maximum altitude of 120m, even though I was in the middle of nowhere and a long way from any flight paths. I can only describe it as being like the feeling you get as a child when you fly a kite too high in the sky and feel the need to reel it back in. I got that same feeling, but without any string and only an invisible radio connection, it is a little more nerve-racking. Then, at the very moment when I began to get comfortable, I spotted that my iPhone battery was about to die. Just as I was about to bring the drone back home, my phone went dead. ‘Here we go. This is where it flies off and I end up on the local news,’ I thought to myself. But, thankfully, the Phantom 3 behaved just as it was designed to, and once again automatically returned home to land at my feet. It really is a very impressive bit of kit. My reason for wanting to try out a drone was, of course, to see just what it was capable of in terms of taking photos and video. Previously I have been impressed with some of the videos I’ve seen, but in an age of low-level satellites, aerial photography has never really excited me. However, I have to admit that you do get a very different angle on the world with a drone, as you can fly at levels that were previously unobtainable – far lower than a helicopter. I’d say the view is more akin to that of being up in a tree, and it is shooting at this sort of height that I found creatively really interesting. It was a very different way of viewing the world. Funnily enough, it is a similar story with video. Flying high and looking at a vista is nice, but it is actually when you are flying smoothly and filming just 3-10m above the ground, capturing footage that again previously would have been very expensive to capture, is where it becomes incredible. I flew it quite low across a rocky beach, along the line of the tide, with the waves rolling in and out, and the footage has a cinematic quality to it because these types of shots traditionally have huge production values. For those shooting video it is extremely exciting technology. With only a compact-camera-sized sensor, the image quality of the Phantom 3 Pro is never going to be groundbreaking. The results do suffer from blown-out highlights, and there is some rolling shutter when shooting video, particularly 4K footage when strafing quickly from side to side. However, if you spend a bit of time learning how to expose the scene correctly, then there’s a lot you can do in post-capture, particularly if you shoot the video with a very flat image style. There is also a ND filter available separately for the Phantom 3 camera, which helps to achieve a slower shutter speed for more natural-looking footage. And the good news for stills photographers is that images can be saved as DNG Raw files. Once my nerves had calmed down and I had established my own comfort zone, I had a lot of fun with the DJI Phantom 3 Professional drone. It’s easy to fly, and the footage is impressive. It’s addictive, too. I went straight home to charge the battery to go out again the next day, once again, very early, on a different beach, when no one would be about. With all the hysteria that exists around the subject of flying drones, it is important to remember that there’s always a human being behind them, the vast majority of whom are going to be averse even to pushing the drone to its preset limits. There are rules set out by the Civil Aviation Authority, as well as advice from the police, but for the most part it all comes down to common sense. Be sensible, be safe, and there really shouldn’t be anything to fear.